Fairtrade Yorkshire backs Oxfam’s food justice campaign, Grow, which aims to support small scale farmers. A major issue that Oxfam has focussed on is the issue of land grabs. Every second, poor countries lose an area of land the size of a football pitch to banks & private investors. Families are being evicted from their land – sometimes violently – and left with now way to grow food or earn a living. 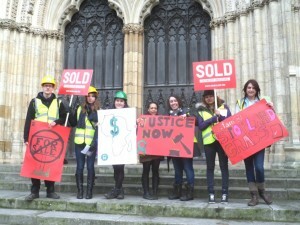 Oxfam supporters in York drew attention to this issue with a march from the University of York to the Minster. The Minster was symbolically ‘land grabbed’ and an eviction notice served. 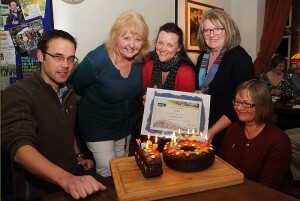 Haworth Fairtrade supporters celebrated the 10th anniversary of the town’s Fairtrade status on 3rd December. 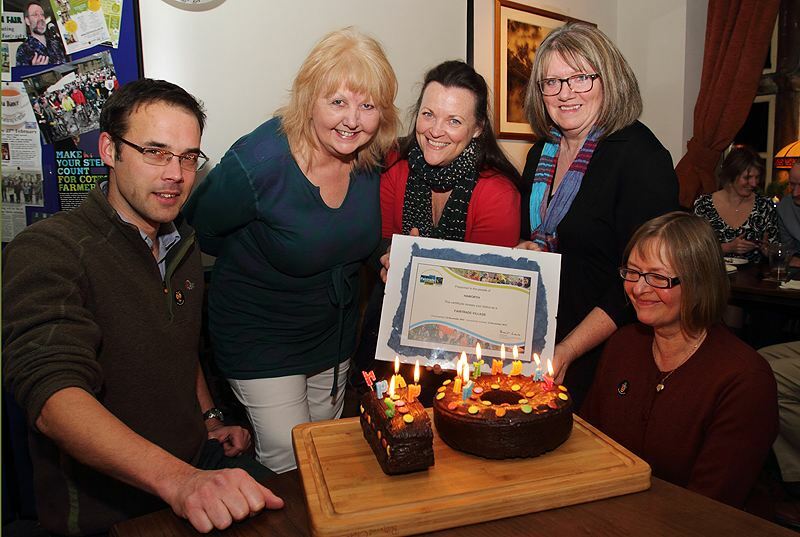 A Fairtrade birthday cake was specially commissioned for the event. The Bronte town was one of the UK’s first Fairtrade towns. Just days before the event, the Haworth Steering Group received the confirmation from the Fairtrade Foundation that their status has been renewed for the third time. Not only that, the Foundation acknowledged that Fairtrade in Haworth has gone from strength to strength. Congratulations to Bradford Church of England Diocese for gaining Fairtrade Diocese status. Many churchgoers across the Diocese have put in a great deal of effort and commitment to ensure that Bradford has won this accolade. Well done to all involved. 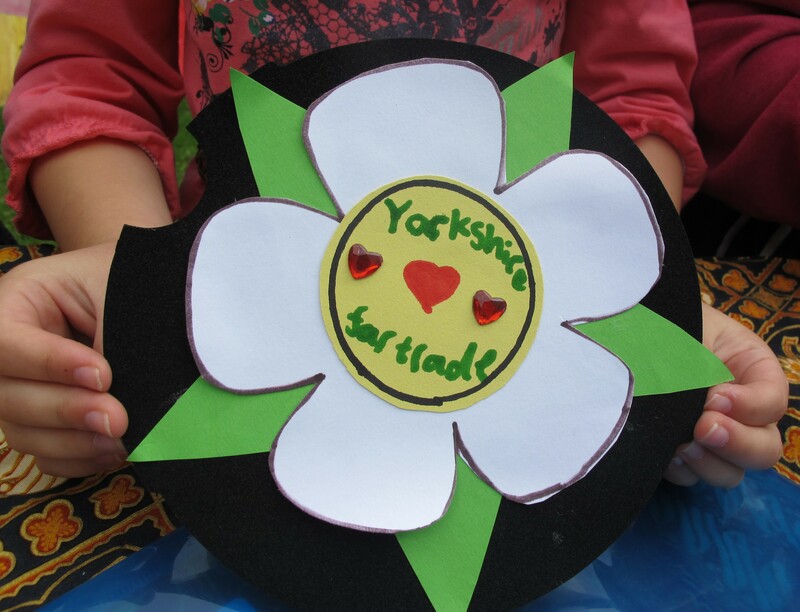 Yorkshire’s Ready for Fairtrade – are you? We will having a celebration of fair trade across Yorkshire on Friday January 18th, 1.30- 4.00pm at the Civic Hall in Leeds. Hands-on activities, fair trade stalls, cake, balloons and inspiring speeches from Hilary Benn MP and Greg Mulholland MP. Places are limited, email info@leedsdec.org.uk to book your place.